Hang these magical diagrams above your altar and let them, with the help of candles, cast pentagram shadows. "Magical diagram" is an alchemical term. Popularised during the resurgence of magic and its workings during the Renaissance period. Available in black, brown or green colours. 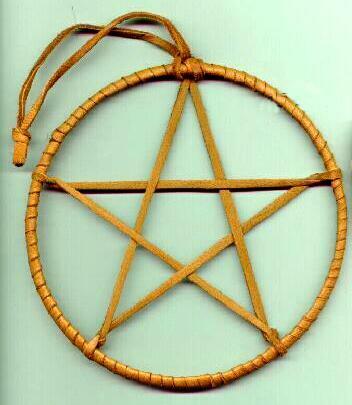 Small woven pentagram. 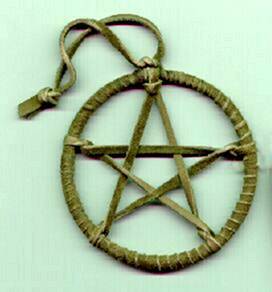 Modern day Witches hang these pentagrams on the rear vision mirror of their "broom" (also known as a car). Large Woven Pentagram. Hang them above your altar. Candle light will cast pentagram shadows.